Xilisoft WMV 3GP Converter links 3GP mobile phones to Windows media players closely as it integrates the functions of WMV to 3GP converter and 3GP to WMV converter. As a WMV to 3GP converter, it can convert WMV to 3GP, WMV to 3G2, and ASF to 3GP/3G2. And as a 3GP to WMV converter, it helps you convert 3GP to WMV and 3G2 to WMV. And this WMV 3GP converter software is also capable of extracting WMA audio from 3GP/WMV video file. 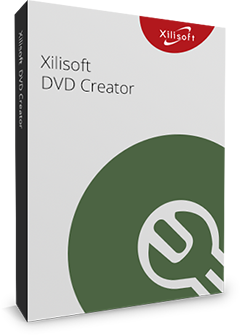 Moreover, Xilisoft WMV 3GP Converter provides you with a wide range of customizable parameters, enabling you to make personalization to output video files freely. 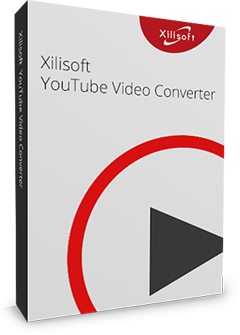 Experience Xilisoft WMV 3GP Converter now, convert between 3GP and WMV videos and share them between Window Media players and 3GP mobile phones! Convert WMV to 3GP, WMV to 3G2, and ASF to 3GP/3G2 video quickly. Now share your Windows media files with 3GP mobile phone users! If you have 3GP video files on your 3GP mobile phones and want to play them on PC's/portable Window media players, then just convert 3GP to WMV and 3G2 to WMV video file. Easily extract the background music from video files by converting 3GP to WMA, WMV to WMA audio. Multi-core CPU works with this WMV 3GP converter. More cores mean faster speed. You can enable or disable any core. Output multiple files with the same content but different formats at one time by adding multiple output formats to one source file. Automatically divide one file into several ones according to the split time/size you specify before conversion. Define the output file size you want in the built-in Bitrate Calculator tool and get the corresponding video bit rate instantly. Any favorite video segment can be extracted just by setting its start time and duration before converting . Output parameters are classified and can be adjusted freely: video codec, video size, bit rate, frame rate, audio codec, channels, and so on. This WMV 3GP converter supports multithreading and batch process, allowing you to convert a batch of files quickly. Make this software run in the background and perform quit, shut down, hibernate or standby after done action for your convenience. Allows you to manage your system power in this WMV 3GP converter. Several language interfaces: English, Japanese, German, Spanish, French and Chinese in Xilisoft WMV 3GP converter.